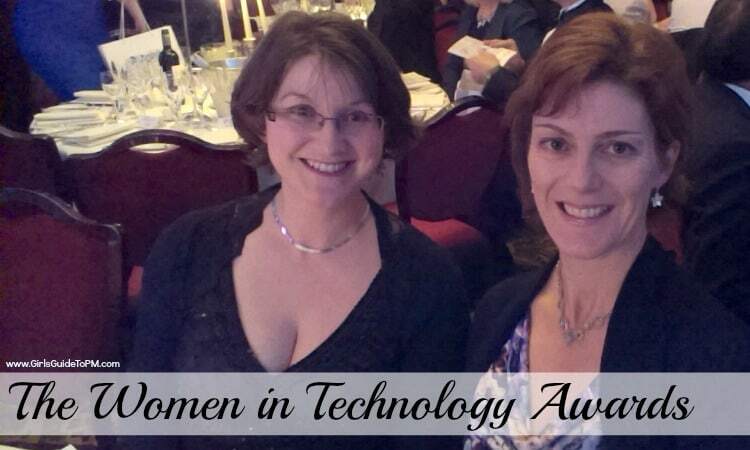 The inaugural Women in IT Awards were held in London on Thursday and I’d been nominated, with my colleague, for work on a large IT transformation project at Spire Healthcare (the project forms the major case study in my book, [amazon text=Customer-Centric Project Management&asin=1409443124]). This photo is of us just before dinner was served. 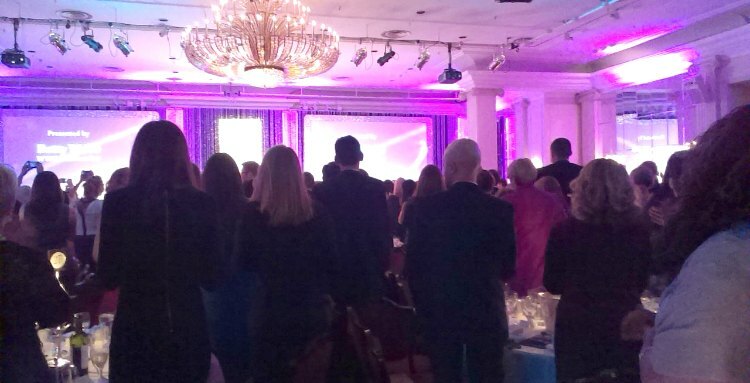 It was a glitzy night at Grosvenor House on Park Lane. Ben Rossi, editor of Information Age which put the awards together, opened the evening after a champagne reception. He went on to say that the awards demonstrate the role that women can play in the vibrant world of technology. “Nothing is going to change unless there is a strong level of accountability,” he added. He continued: “When women demonstrate the skills to succeed in technology that creates the conditions to inspire others.” He talked about how the industry needed all the innovators and professionals it could get to keep up with continuing economic and business change. “We dare not rely on or exclude a group,” he concluded. Public Sector Deployment of the Year – London Borough of Camden, although Exeter College got the biggest cheer as we were on their table! IT Transformation of the Year: for a company that has done a major successful IT transformation where a woman was an integral part. This was the award we were up for but we were beaten by the worthy winners – Royal Mail. The highlight of the awards ceremony was easily the presentation of the Security Champion of the Year award, presented by Betty Webb, one of the codebreakers based at Bletchley Park during WWII. She spoke briefly about having to keep her work a secret for 30 years and wondered whether that would be possible nowadays. They had no choice at the time, she said, or we wouldn’t have been sitting here in comfort today. Read more about the secret projects and amazing work of women in IT during the war here. The award was won by Cath Goulding of Nominet. 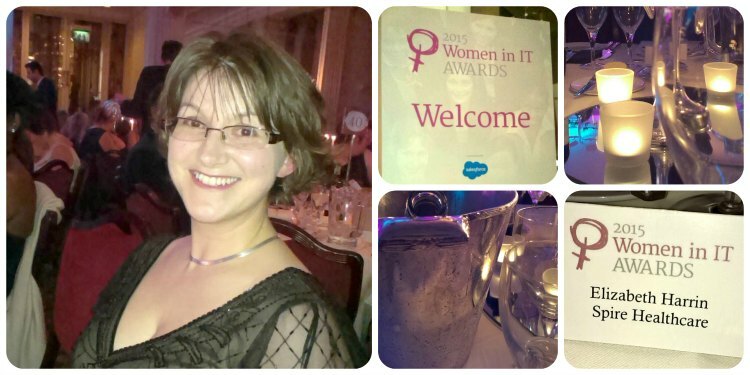 Despite not winning, it was a lovely evening, and inspiring to be surrounded by so many stories of wonderful IT projects and women achieving huge career success. If you’ve got the chance to enter professional awards you should definitely go for it. It’s a great experience to be a finalist, and you don’t have to win for it to be an achievement listed on your CV! This was an inaugural event and I’m surprised it hasn’t been done over here before. I don’t know of any other awards dedicated to the achievements of women specifically in IT. I found it interesting that in the main it was companies getting the awards for initiatives that ‘a woman/women played a major part in’. 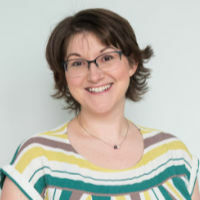 Unless it was something like CIO of the Year, the other awards acknowledged corporate projects or achievements, with women collecting the awards. And there were easily as many men as women in attendance, which was good. The LV event sounds inspired – fundraising and recognition and a party in one! It’s good to see women in IT getting recognition. Here in Las Vegas, we have an annual Christmas party, jointly sponsored by by Women in Technology International, our local Project Management Institute chapter, and several other groups, benefiting children’s charities. It’s an excellent venue for recognizing professional achievement, and most years have included awards and a woman IT executive giving a keynote. Always well-attended, and always worth the ticket and time. Thanks, Kathi! I’m still getting used to it – it’s a bit chilly round the neck in this weather! But a lot easier to look after and quick to do in the mornings.